I have a confession to make. I’m a designer and I used to hate sketching. 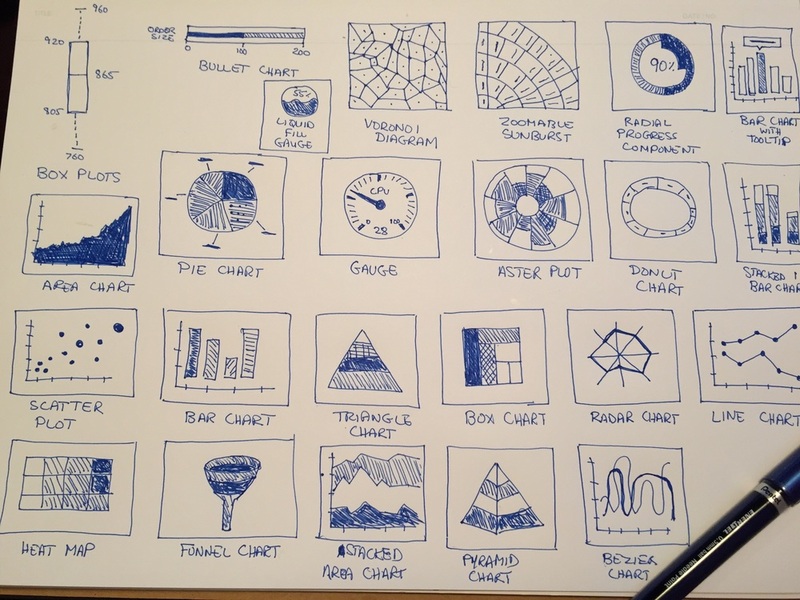 How could a designer hate sketching? Sounds crazy right? I wasn’t bad at it, I just didn’t see the value in it. I would draw just enough lines to check sketching off my list and then jump into my digital comfort zone. There is a word for people who do their thinking within their design tools only. They are called “Toolers”. I was a tooler. I didn’t even like sketching on a tablet. The analog world of pencil and paper was not my comfort zone and as a result, my designs suffered. I had great ideas but I was hesitant and timid about sharing them by sketching in front of others. I was scared to go up on the whiteboard and sketch because I lacked the confidence. What would my team members say? They will definitely make fun of me, I thought. Anytime I was asked to visually show my ideas, my heart would start pounding and I would break out in a sweat. I would loose my train of thought and an incoherent mess of words would come out of my mouth. This was no way to live. Things needed to change fast. As a firm believer in the idea that small actions when done consistently yield great results, I decided that I would force myself to sketch for 30 days straight. This would be an opportunity for me to practice and get in the habit of sketching consistently. The 30-day challenge was fun, exciting, and definitely challenging. It consistently got me out of my comfort zone which helped me improve my sketching skills. Examples of sketches from my 30-day sketching challenge. Want to power up your sketching skills? Follow these steps to begin your journey to becoming a sketching machine. As with anything is life it is important to be intentional about your actions. Take a moment to answer this question. What do I want to accomplish by taking part in this challenge? By being intentional about the reasons you are taking on this challenge you will be focused and ready. It’s not going to be easy and there will be days when you will want to give up but identifying your reasons for joining this challenge is an important step to set yourself up for success. Brainstorming time! 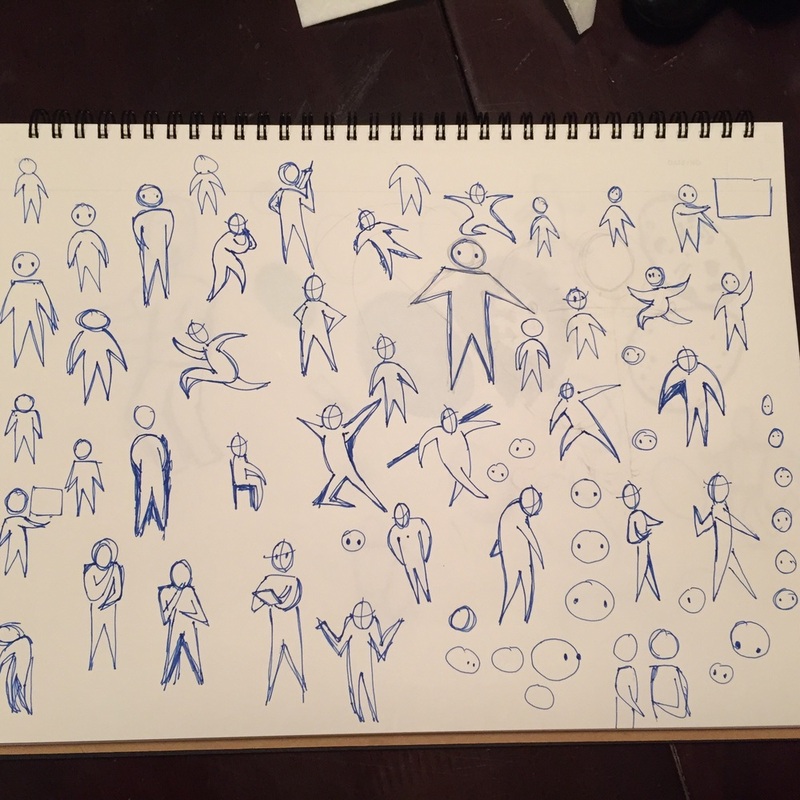 Set a timer for 5 minutes and come up with at least 50 things to sketch. These could be things you sketch on a regular basis or concepts that you want to get better at sketching. For this exercise just let the ideas flow and don’t edit yourself. How did it go? Hopefully, you were able to come up with many ideas. The next step is to create a list of all these ideas you have come up with. This will be your guide throughout the challenge. By creating this list beforehand you won’t have to come up with a new idea of what you want to sketch each day. You can just reference your list of ideas and start sketching. An important part of this challenge is to stay flexible. Tip: To get even more practice you can repeat the theme for the day. In my case it was people so I returned to sketching people again and again. Having a list is great but make sure you are open to new ideas you might be inspired to sketch as you are going through this challenge. Now that you have your list ready, you should decide just how much you will sketch. Your daily goal could be time-based or quantity based. Pick a sufficiently challenging goal for yourself. Don’t have a lot of time? Just five minutes of sketching each day is a great way to get the ball rolling. If you’re going for quantity, your goal could be to fill up the whole piece of paper you are sketching on. You want to push yourself but not to overdo it and risk missing a day because you just can’t achieve your daily goal. Start off small. You can always increase the time or quantity goal you have set for yourself. Announcing your 30-day sketching challenge to your friends, family, or coworkers is a great way to add accountability for yourself. The road will be tough. There will be ups and downs but by committing to this challenge publicly you will make yourself accountable. A little external pressure to achieve your goal won’t hurt. Sharing your daily sketches with the people around you and on social media is a great way to build accountability for yourself. Getting over the idea that our sketches have to be perfect. Getting feedback to help you improve your sketches. Tip: Share your sketches on Twitter, Instagram or Facebook with others using the hashtag #SketchingMachine. Help inspire others and gain inspiration from others who are taking part in this challenge. It is never too late to start sketching your way to better ideas, better understanding, and better communication. Going from not sketching to becoming a sketching machine does not have to take a long time. It just takes consistent effort and practice. Start your 30-day sketching challenge today by being intentional, decide on what your daily goal will be, add some accountability, and by sharing your work with others. Today is your day to harness the power of sketching and to become a sketching machine. You can do it! Do you have any tips for becoming a sketching machine? Let me know in the comments below. Get insights about Sketching, UX, Productivity, and Inspiration in a weekly email.